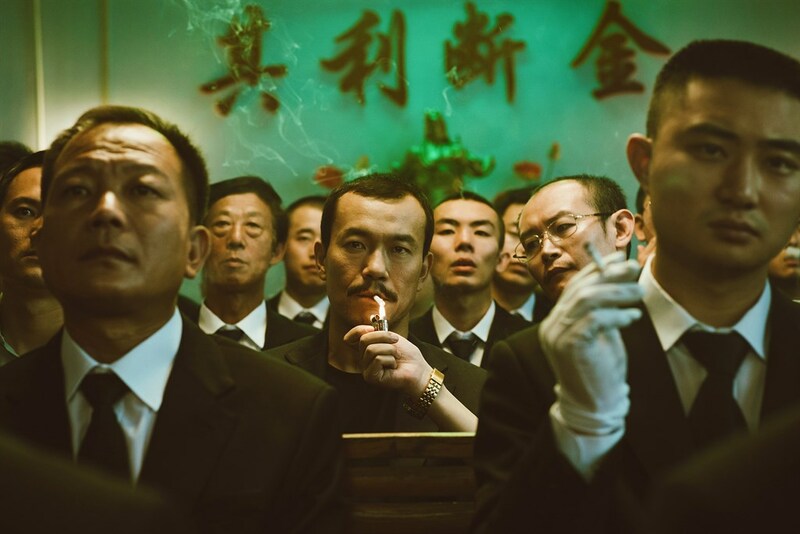 Jia Zhangke's "Ash is Purest White" makes us wonder where stubbornly idiosyncratic auteurs belong in contemporary China. Courtesy of Cohen Media Group. The more I think about Chinese auteur Jia Zhangke’s latest film Ash Is Purest White (江湖兒女), the more it resembles a “nail house.” For those unfamiliar with this poignant symbol of China’s rapid evolution, nail houses are lone dwellings that, because their owners refused to move, stand defiantly (like un-hammered nails) in seas of new urban redevelopment or even ongoing construction. Like nail houses, Ash Is Purest White elicits a mix of conflicting emotions. On one hand, it’s impressive how the film consistently—and stubbornly—embodies the same beautiful and idiosyncratic style of Jia’s previous films. On the other, that consistency feels almost curmudgeonly, raising questions about whether Jia’s idiosyncrasies should evolve alongside the China they aim to depict. Like many of Jia’s other films, Ash Is Purest White offers a simple, human-centered narrative in which his muse (and wife) Zhao Tao portrays the female lead. 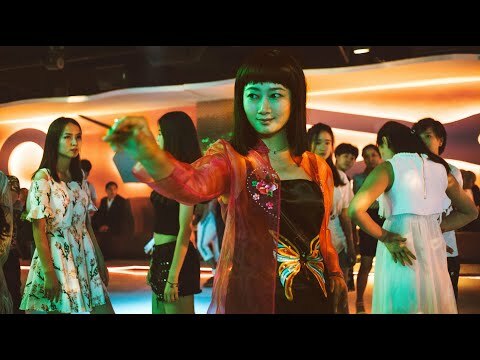 In this case, Zhao plays Qiao, a woman from Shanxi who falls in love with a small-time gangster named Bin (played by Liao Fan of Black Coal, Thin Ice and Let the Bullets Fly). Across three time periods—2001, 2006, and 2017—we observe the ups and downs of Qiao and Bin’s relationship. Even as their surroundings change, the pair’s interpersonal dynamic remains constant: Qiao repeatedly saves Bin from physical or existential harm, and Bin repeatedly proves how he really doesn’t deserve Qiao’s attention. Those critics aren’t necessarily wrong. The film does touch upon China’s societal changes, and depict an inland province that most mainstream Chinese flicks neglect for Beijing and Shanghai, not unlike how Hollywood chooses LA and New York over West Virginia. And, sure, compared with most mainstream Chinese movies, Ash is the Purest White does seem pretty special from an artistic perspective. However, if you’ve watched a lot of Jia Zhangke, all of Ash’s wonderful idiosyncrasies start feeling a bit unoriginal. Just compare it to Jia’s previous feature film, Mountains May Depart. Like Ash is the Purest White, Mountains stars Zhao Tao as a strong female lead who has to deal with unreliable men across a three-act structure, set across three time periods. Like Ash, Mountains deploys not only Village People (“Go West” rather than “YMCA”), but also incorporates cantopop singer Sally Yeh into its soundtrack (“Take Care” in Mountains, and The Killer theme song in Ash). If I were a cynic, I would say that Jia’s getting lazy and recycling these tropes for the sake of reliably pleasing Western film festival judges. The easiest way Ash is Purest White could’ve distinguished itself from Jia’s previous works would’ve been simply snapshotting present-day China—given today’s China is quite different from China even four years ago. This is a technique that worked quite well for Jia’s 2014 film A Touch of Sin, which felt quite distinctive for drawing scenes from real-life events like the Foxconn suicides. Yet, even if mainline Western publications lazily trotted out the “shows a changing China” label for Ash is Purest White like they did for Mountains May Depart, Ash doesn’t show change directly. Audiences need to pay great attention to notice when Ash jumps time periods—which means spotting the difference between using WeChat voice messages versus feature phone calls, or knowing when China introduced the harmony-class bullet train. Sure, there’s oblique mentions of Xinjiang that might feel coincidentally relevant today, but Jia seems to purposefully relegate all societal shifts to the background in favor of focusing on Qiao and Bin’s ultimately timeless relationship. The world might change outside of a nail house, but those who stay in that nail house will keep staring at its unchanging walls—beautiful as they may be. Stand Still… and See More? Stubborn idiosyncrasy isn’t unique to Jia Zhangke or Ash is Purest White; it’s something critics usually celebrate about auteurs, no questions asked. However, it’s worth re-examining Jia’s artistic doggedness because authentically depicting contemporary Chinese life is different from depicting Japanese or French life. Unlike China, Japan and France don’t build skyscrapers in 19 days, lift tens of millions out of poverty every year, or spearhead global infrastructure megaprojects. Choosing to depict Three Gorges Dam-related displacements in a 2018 Chinese film feels passé when more recent initiatives like the Hong Kong-Zhuhai-Macau Bridge cause fresh controversy. Showing Chinese people dancing to “YMCA” seems laughable when teenagers worldwide now film themselves dancing on China-made app TikTok. Continuing to stick to your guns as a movie director in an country that’s moving full speed ahead with foreign military intervention blockbusters and sweeping sci-fi epics? That seems hopelessly naive. Yet—passé, laughable, and hopelessly naive might be exactly what you need to authentically show today’s China. In many ways, those characteristics provide exact foils to contemporary China’s forward-looking, ruthlessly focused, and ambitiously pragmatic spirit; their presence in Jia’s films illustrates their absence in the mainline Chinese discourse of Wolf Warrior 2 or the People’s Daily. Like a nail house, Ash Is Truest White forces audiences to stop, stand still, and question what’s lost in the wake of China’s fast march forward—and perhaps that’s valuable in and of itself. Ash is Purest White (Chinese: 江湖兒女)—China. Dialog in Shanxi Mandarin. Directed by Jia Zhangke. First screened May 2018 at Cannes. Running time 2hr 30min. Starring Zhao Tao, Liao Fan. Ash is Purest White is currently screening across major US urban centers.